Flipside, the East Anglian literary and arts festival, is launching a writing competition for writers of all ages in a search for inspirational writing about the environment. 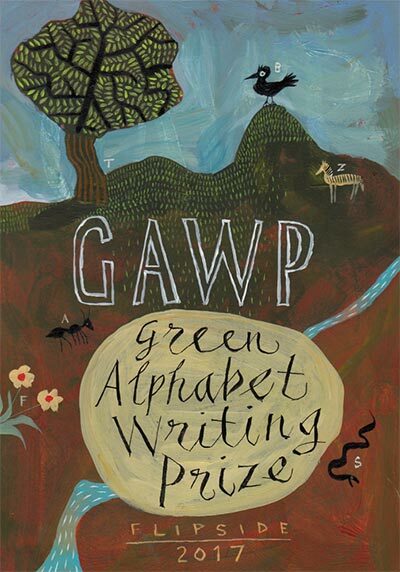 Choose any letter of the alphabet and use it in any way you like in a piece of writing on a green theme. Your submission can be a poem or a piece of prose, and could include some visual art. Whatever it is, it should refer to the environment and how to care for it. The deadline for entries is 31st July 2017. Entry fee £3 per piece (under 16s free). First prize: £500 adults (16+); £200 for under 16s.